"The path from Lewiston to the Canadian border is an excellent route as it utilizes existing commercial forest land and a well-established transmission corridor. 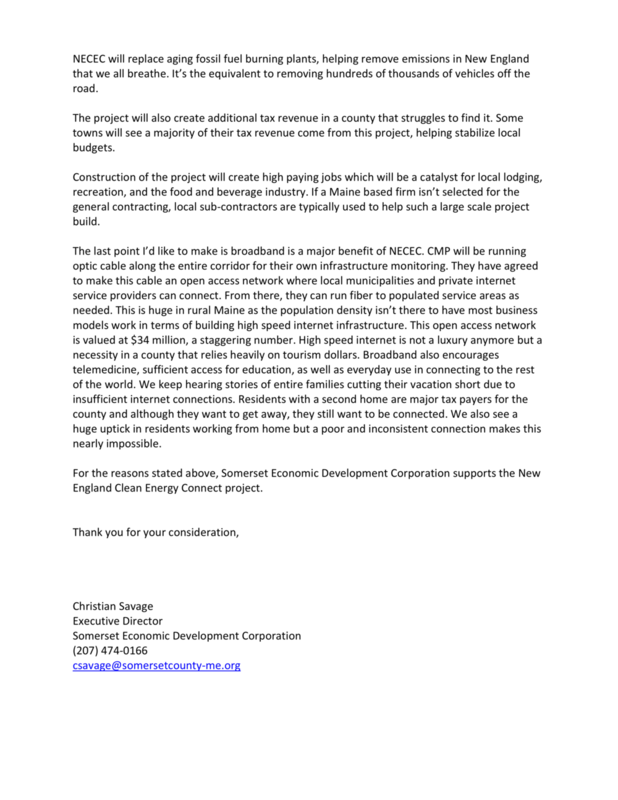 This corridor already knows Central Maine Power to be a very good neighbor, who always takes into consideration landowner concerns and environmental integrity." "We have a long history of providing services, through a number of our members, to Central Maine Power (CMP) and know them to be an experienced, reputable, and highly professional company that holds excellence and safety as priorities. 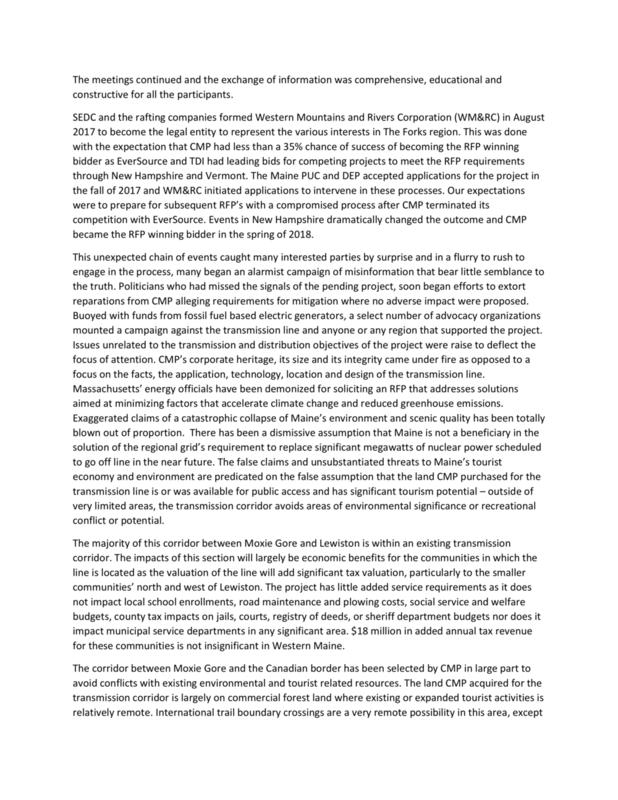 When CMP develops major projects, as they did with the recent Maine Power Reliability Project, they do so on time and on budget, which appears to be of utmost importance in this competitive process." "Greater Franklin Development Council has taken a leading role in advising and supporting clean energy projects that bring sustainable economic development to our county. 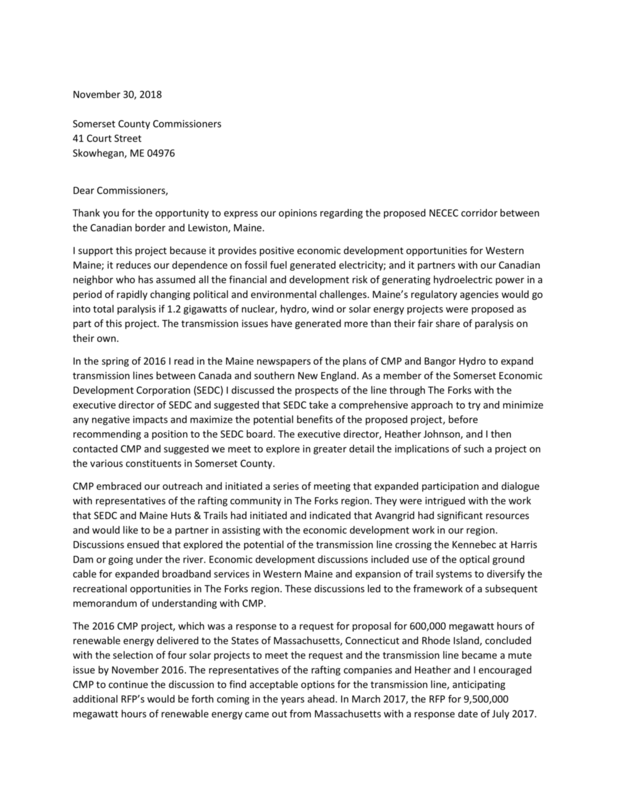 Central Maine Power's proposal to construct a new transmission line from the Canadian border through western Maine and Franklin County is just such a project. 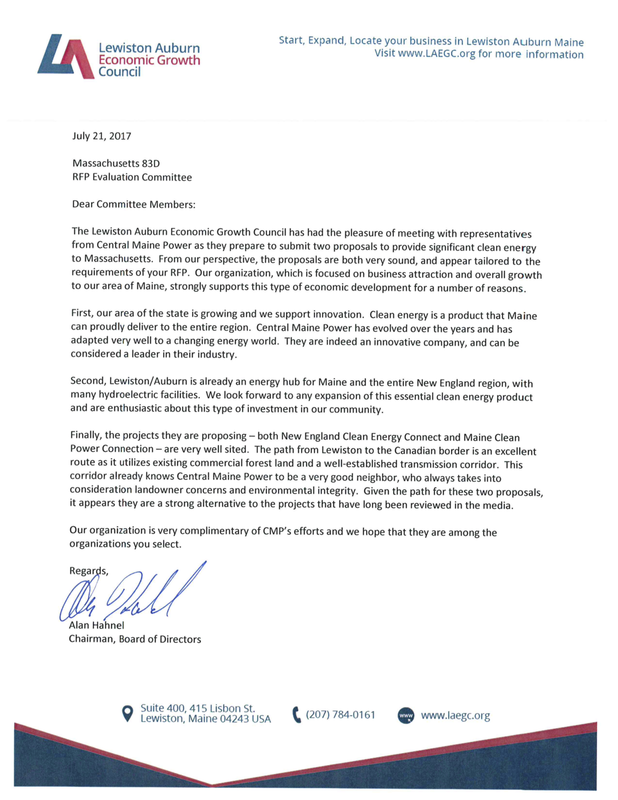 We want to salute the residents of Massachusetts for your far-sighted plan to increase clean energy in the regional energy mix." "We have found Central Maine Power an excellent organization with which to work. They are knowledgeable and professional and always strive to do the right thing on projects such as this." - E.J. Carrier, President, E.J. Carrier Inc.
"Our organization’s 8000 members spend time enjoying Maine’s abundant natural resources. 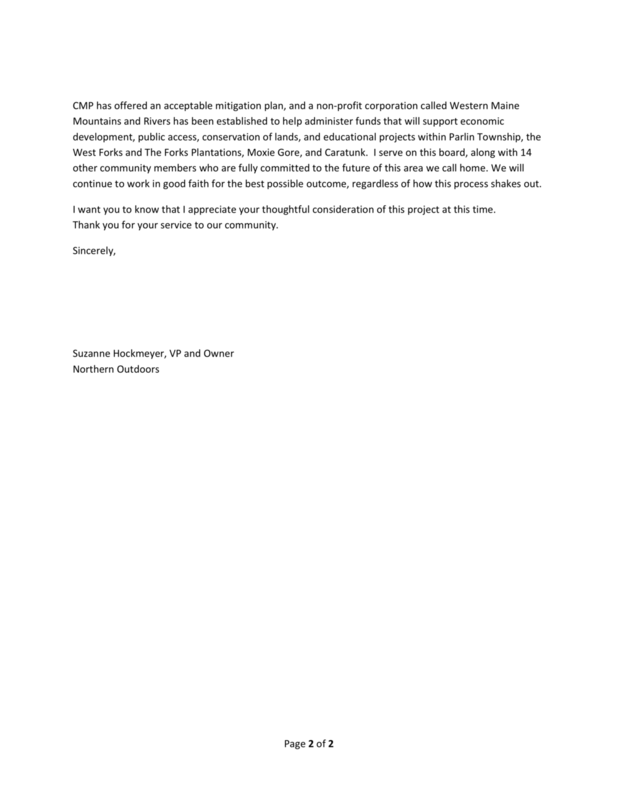 We believe that CMP’s proposal offers a reasonable hydro-power transmission route through Maine, taking advantage of existing infrastructure and we appreciate your efforts to avoid many scenic and special areas. "